The holidays are supposed to be joyous and full of love from friends and family. 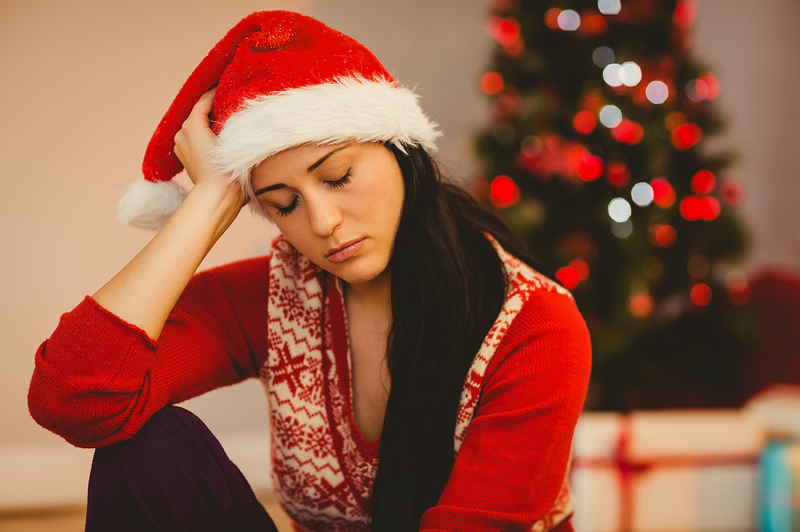 However, for some of us, the holidays can be a stressful and emotional time. This can be especially true for those of us who have lost our loved ones. The absence of those we loved can weigh heavily upon us during this season. So, how do we manage to overcome these feelings and make it through the holidays while mourning our loved ones? There are many ways to honor your loved one and celebrate their life instead of focusing on their death and absence during the holiday season. Here are a few ideas on some new traditions you may want to start implementing into your holiday season. Place a special ornament on the tree. Your loved one may have had a favorite ornament they always put not the tree, and you could remember them by hanging their ornament. Or, you could purchase a new ornament in their memory. Maybe your loved one liked horses, dancing, the beach, a particular sports team or a favorite color. Whatever ornament you find that reminds you of them and gives you that sentimental feeling would be a perfect way to honor them during the holiday season. Decorate in their memory. You can design a great featuring their favorite things, or you could put up the winter village that they always put every year. You could design your own personalized crafts or use the decorations they once used. It does not matter as long as it celebrates their memory and reminds you of the good times you all had without focusing on their absence during this time. Hang their stocking. You do not have to throw away their stocking just because they are gone. You can hang it as usual to remember them. You may even want to add stuff to their stocking that you know they would have liked, or you could personalize their stocking with their name and decorate it with things they would have liked. Make their favorite foods. Your loved one may have loved a certain treat during the holiday season. It could be something you cooked together or for them or something they always liked to go out and buy during the holiday season. It does not matter as long as the food reminds you of them and brings a smile to your face. You could even invite friends and family of your loved one over to enjoy it with you. Volunteer or donate to their favorite causes. If your loved one had a cause that they loved to support, then maybe it would be a good idea for you to take over where they left off. You can volunteer your time or make a monetary donation in their name. This is the perfect way to give back during a much needed time and honor the memory of your loved one. Put up a memory table. You could add a memory table to your usual decorations. You can have their picture on it with items that remind you of them. Many people have been making little crafts with a tiny chair to remind them that during the holidays our loved ones come down to visit, and you can add that too if you like. If you are having a get together with your friends and family, you could even invite them to add some things to the table that reminds them of your loved one. It can be hard trying to make it through the holiday season while grieving the loss of a loved one. You see all these happy people and happy events and mourn for the times you have lost. However, you should try to do things and incorporate new traditions that will allow you to remember all of the good times you have shared with your loved one. There are many ways to celebrate the life of your loved one, but only you will be able to know which ones will be able to help heal the hole you feel they have left in your life. Remember to breath and focus on the good during this holiday season. It will be a difficult time, but you will make it through somehow.